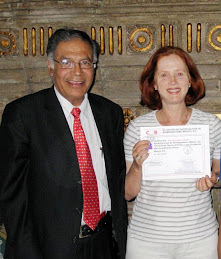 Pictures of Dr. Goiz and Dr. Hilu at the Clinic in Spain. On May 2009, Dr. Isaac Goiz Duran MD, who in 1988 discovered the Biomagnetic Pair, was invited by Dr. Hilu MD and agreed to test his Biomagnetic Pair theory on over 200 patients at the Hilu Institute in Marbella, Spain. Parts of the original article has been translated from spanish by Helena Guerrero.